Create help documents and FAQs quickly and easily. Is there a better alternative to Answers? 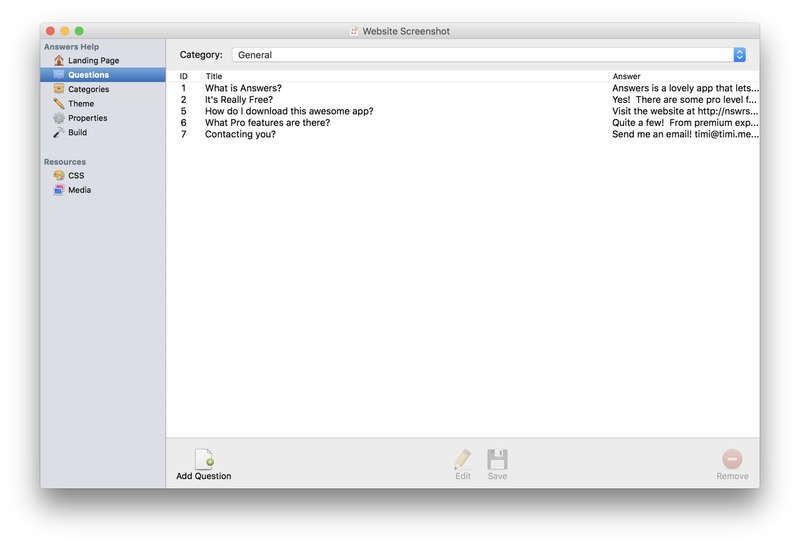 Is Answers really the best app in Developer Tools category? Will Answers work good on macOS 10.13.4? Answers makes the challenge of writing help documents simple and easy. Using a content-based approach, you can make a beautiful Help Book or FAQ in a just few minutes. Create your text, then select a sleek theme to stylize your help. Choose from six build types to suit your exact needs. Answers takes care of the hard part, maintaining all those links, pages, and files for you. Just enter your content, build, and go!